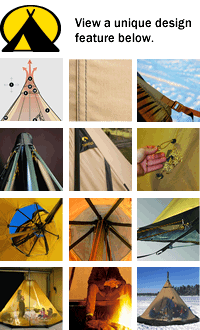 Advanced materials and more sophisticated ventilation features make Zirkon an upgrade from our Onyx tent-tipi series. 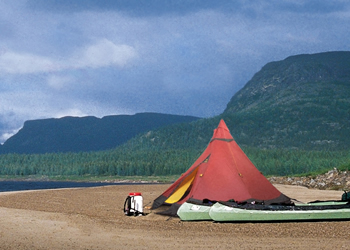 A perfect balance between price and performance for a wide range of adventurous activities. Offering you the perfect compromise between price and performance, Zirkon is a design that's perfect for tent backpacking, camping, hunting & fishing, cycling, climbing, – or simply for the children to sleep out in the garden on a summer's night. Or choose Zirkon CP Tents to benefit from all of the Zirkon's design features but in a breathable cotton polyester fabric. Lightweight ripstop polyamide fabric. UV protected and silicone-coated on both sides. 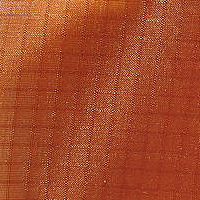 A carefully chosen, light and very fine standard tent fabric. Attractive red color makes it easier to find even in snowstorms or fading light conditions. Which E-mail address do you want me to send a picture and video. 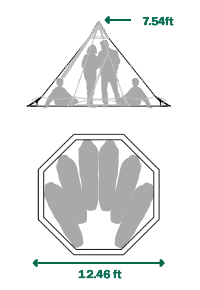 Click the button below to add the Zirkon 5 - Light Tent to your wish list.